Installing a gutter filter or cover onto your gutter system is the best way to reduce the amount of maintenance that needs to be regularly performed on your home in Albuquerque, New Mexico, or a surrounding area home. In addition to our durable seamless gutters, we offer a top-notch gutter protection system that will save you from future troubles caused by blockages and overflowing water. 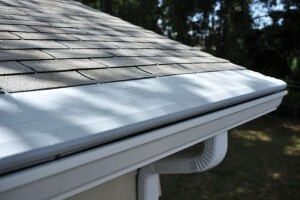 Once installed, you will never again have to waste time cleaning out your gutters again. What’s more, you can trust that your investment in our products will be well protected, because we offer some of the best warranties in the industry. And, with the promise that all of our installers are factory-trained and -certified, it is a safe bet that there will never be any issues with your new gutter filter or covers. To learn more about all of the gutter filter or cover options offered by ABC Seamless to homeowners in Albuquerque, NM, or the surrounding communities, contact us today. Make sure to ask bout our financing options available to all homeowners who qualify.